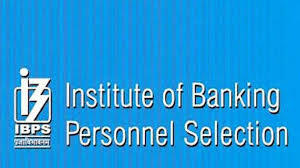 The IBPS (Institute of Banking Personnel) released the IBPS SO results 2019 for the main exam that happened on January 27, 2019, the results are available on their official website, which is ibps.in. If you took the exam, follow these steps and check your score. Step Three: After you click the IBPS SO result, it will redirect you to a new page that will tell you to fill up some registration details. Step Four: Now, you need to log in with the details that are being asked. Step Five: After filling the details up, you will be redirected to a new page where you can see your results. The IBPS is set to select candidates for scales 1 and 2 for posts that include Law Officer, HR/ Personnel Officer, IT Officer, Marketing Officer, Rajbhasha Adhikari, and Agricultural Field Officer. The exam was 45 minutes long and was done to assess the knowledge of each candidate that was taking it. There was a different descriptive paper for the post of Rajbhasha Adhikari. The score that the candidates got in the main exam will be used for shortlisting the candidates and will go in an interview for the final merit list. All candidates that qualified from the main exam will be brought and will have an interview with the participating organizations and Nodal Bank.